A Coimbatore florist, Flowerkart is a floral designing boutique speciality is in designing exquisite flower arrangements that are made from exotic, fresh and beautiful flowers sourced from all parts of India. Be it birthdays, wedding anniversaries, receiving a guest, seeing off a friend and for congratulating some one etc. it adds a special touch to say it with flowers. 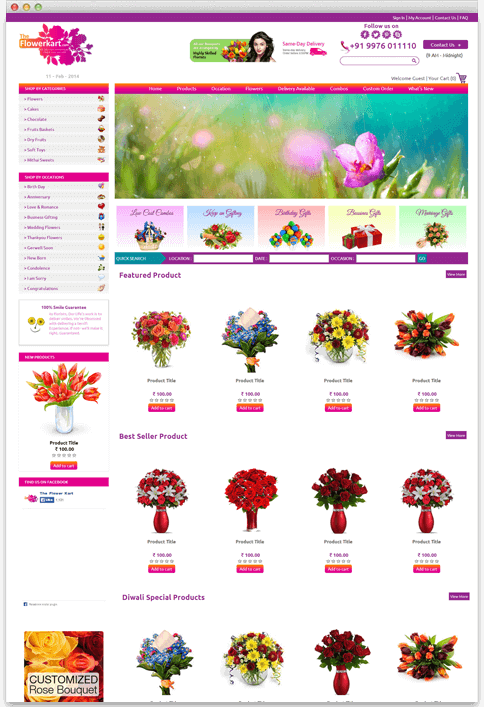 Poogle Media had this creative opportunity to design their e-commerce website.